After Brangelina, is it now time for Hollywood’s power couple George and Amal for an amicable split? George Clooney was one of the world's most eligible bachelors for almost half a century. The Three Kings actor finally got married to British-Lebanese human rights lawyer Amal Alamuddin on September 27in 2014. 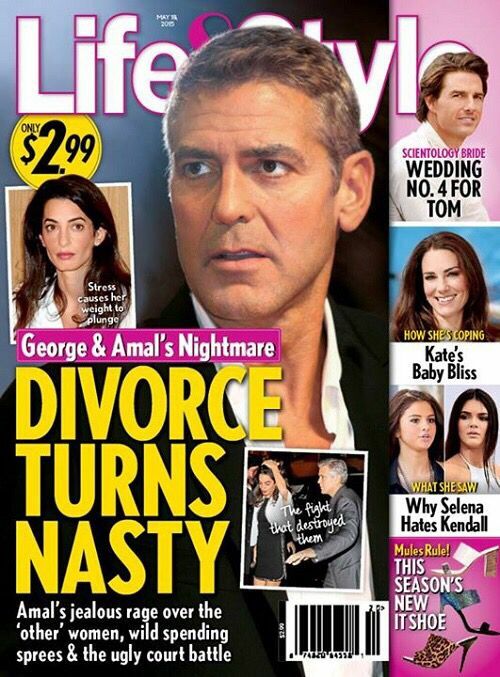 Now, George and Amal are reportedly living different lives and have prepared themselves for a nasty divorce. According to sources, the power couple had been living a separate life for quite a long time. Amal wanted kids, but George didn’t, he was feeling a mounting pressure to have children and had unwillingly agreed, the source added. The reports also suggest that, Amal will get his fortune and his Lake Commo villa. Apparently, George plans to move to Britain, as he is “getting impatient” because of Amal’s high taste for life and lavish spending. After the high-profile divorce suit filed by Angelina Jolie against husband Brad Pitt, and now the news of divorce between George and Amal has sent shockwaves across Hollywood and beyond.